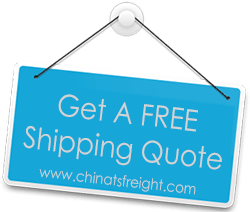 TS Freight is one of China’s top international freight transport services, where we provide customers with affordable ocean freight shipping and air freight shipping for cargo import from China to UAE. Our experience of more than 10 years in the industry has helped us perfect our logistics activities, which allows us to offer fast and efficient transport to our clients. We offer custom-tailored transport packages that can be fitted to suit your requirements. Businesses that have time-sensitive goods to import can avail of our air freight services. On the other hand, customers who choose low cost over delivery time can choose from one of our ocean freight transport packages. No matter the mode of transport you choose, the packages we offer are cost-effective. It is possible for us to offer our clients affordable pricing because we have connections with the top carriers between China and UAE. We accept client import requests irrespective of the volume of the cargo to be transported from China to UAE. Our experienced staff then works round the clock to manage and coordinate the various stages of cargo import. These include arranging for the pickup of your goods at the shippers, packaging of the goods and their inventory, handling, processing and documentation required to clear customs as well as inland transport from port or airport to your doorstep, depending on the package you have chosen. With the help of our international carrier collaborators, we can import your goods from any major city in China such as Shanghai, Beijing, Shenzhen, Hong Kong,Ningbo among others, to any major city in UAE, including Dubai, Sharjah, Abu Dhabi, Ajman, Fujairah, Ras al-Khaimah etc. If you work with us for cargo shipping from China to UAE, you can rest assured you will have the pick of our expert staff to handle your goods for you so that they will reach you in the safest way possible. Call us or email us with your preferences and we can help choose the best plan for you.